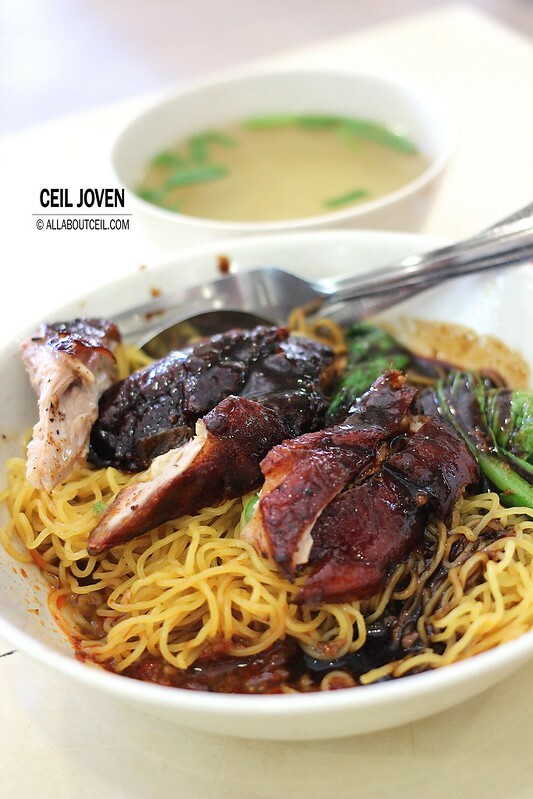 ALL ABOUT CEIL: Roasted Duck Noodle. I did not quite realise that most of the stalls in the food centre have closed down with no replacement stalls thus i was left with rather limited choices for lunch. I was just happened to be standing in front of this stall and there was a short queue of few people there so i thought to give it a try. 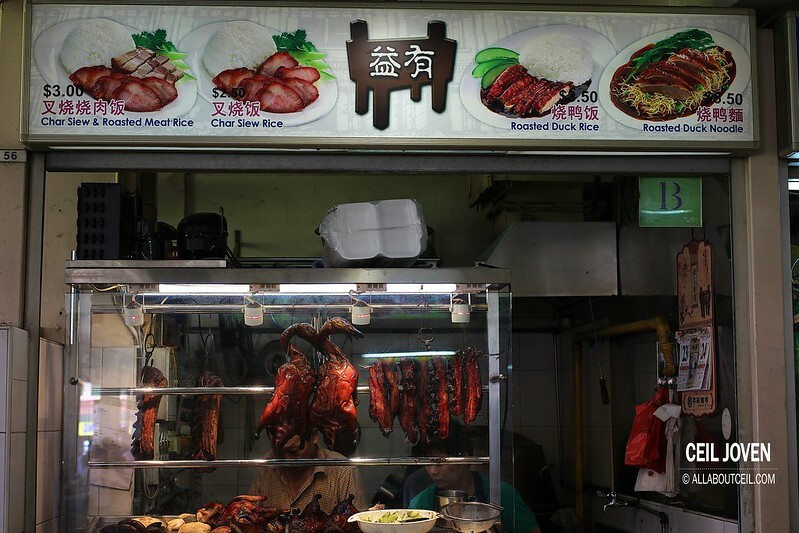 There is the selection of Char Siew & Roasted Pork Rice ($3.00), Char Siew Rice ($2.50), Roasted Duck Rice ($3.50) & Roasted Duck Rice ($3.50) stated on their signboard. I spotted half of the roasted chicken was amongst the roasted meat and i guess they do serve Chicken Rice as well. 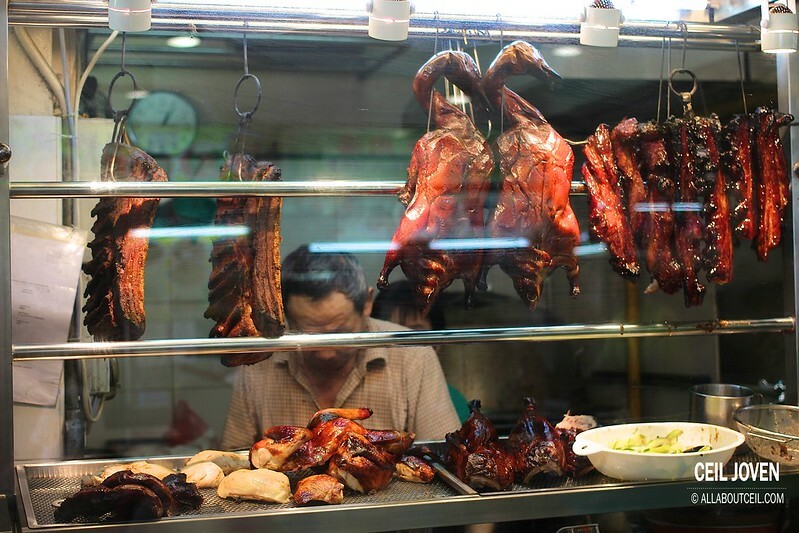 I wanted the Roasted Duck Noodle. It was served soon after. 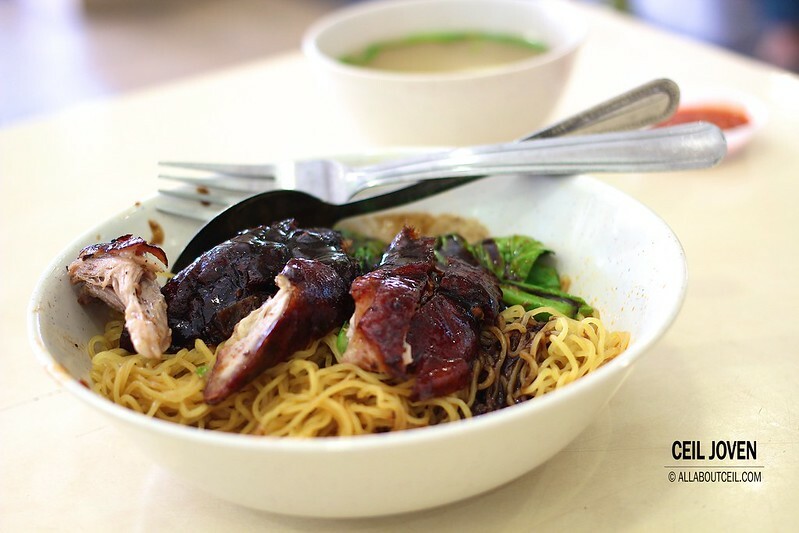 A few chunky pieces of roasted duck meat were served with a substantial portion of mee kia and a few stalks of vegetables. 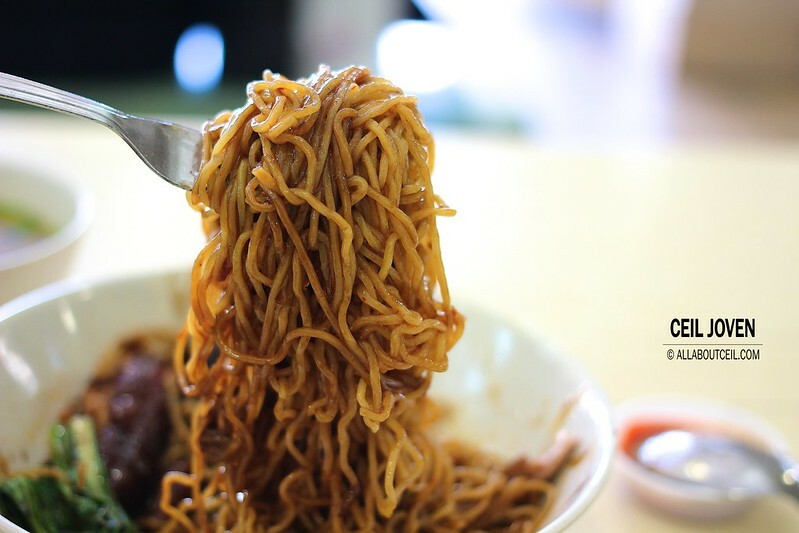 It was served with some dark sauce and a pile of sambal chilli underneath the mee kia. The few pieces of roasted duck meat were not as meaty as expected but it was tasty with a slight smoky flavor at the right texture. The skin was slightly greasy and not too crispy but rather flavorful. 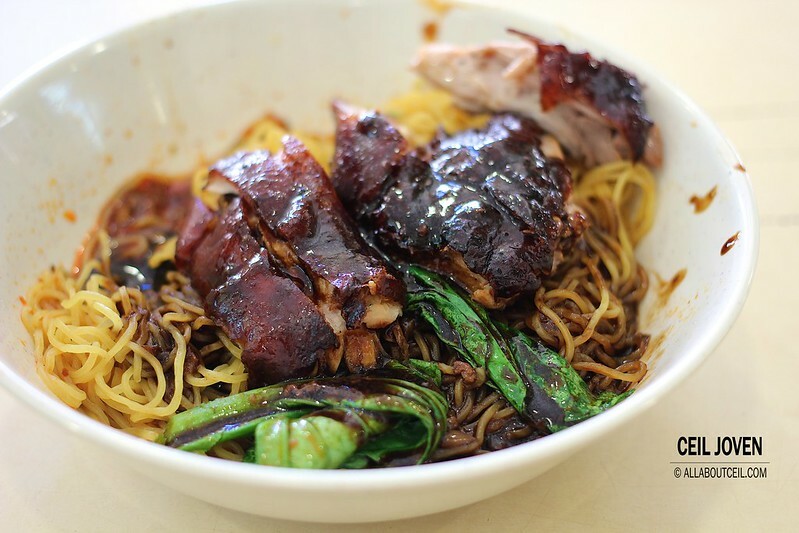 The dark sauce tasted like some kind of braised sauce and it added flavor to the noodle when tossed it well. The level of spiciness was quite distinctive so it can be a little overpowering. 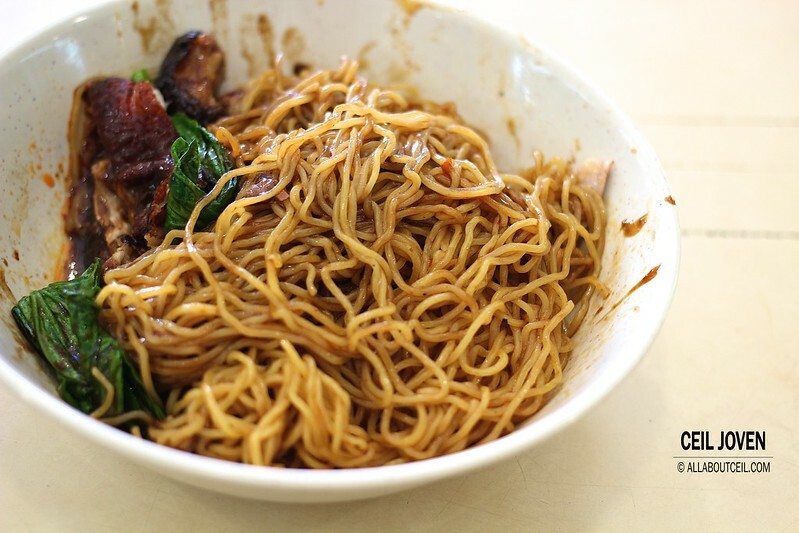 The mee kia was nicely cooked to give it the likable chewiness and a noticeable springiness. 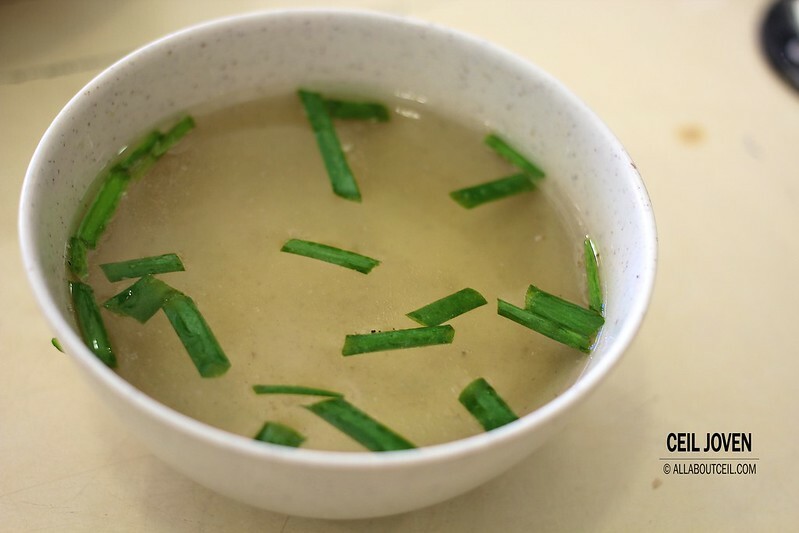 A bowl of soup served along with the noodle. Its taste was slightly enhanced by the spring onion added. A simple but rather tasty lunch that i enjoyed pretty much. 166 Jalan Besar #02-56 Berseh Food Centre SINGAPORE 208877.